I did finish 9 Granny Squares, as I mentioned in the last WIP Wednesday post. I started a MAPLE LEAF shawl, but have not finished it yet. I’ll talk more about that in the next WIP Wednesday post. And that’s it. I’m so glad I had the Granny Squares done because I was able to turn those in for HPKCHC classes, making sure I got all the available base points. I completed both the Palindrome Hat and the Kitty Pi by the applicable deadlines! I got my OOTP Mission Begonia Swirl Shawl up to 50% complete during the first week of June, but set it aside after that and did not work on it again. I finished spinning the pin-drafted wool and spun 4 ounces of the Psalm 23 fiber in time to turn in my 50% OWL completion. I did not spin up the remaining 4 ounces of the Psalm 23 fiber before the end of the month. Since I got so little done, you might expect that my stashdown progress wasn’t great either. 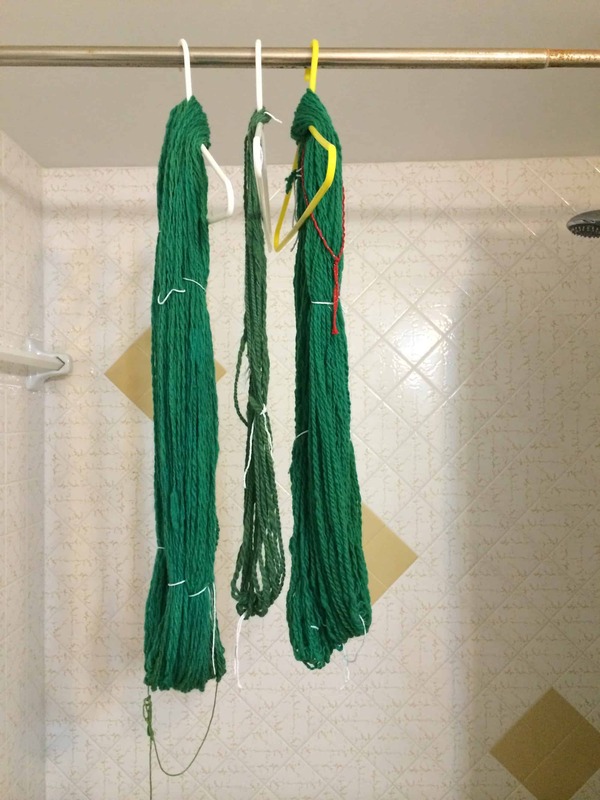 However, I gave away a couple of skeins that I didn’t love and I also cut up a skein of yarn to use as dyeing samples, boosting my total a bit. Honestly, I’m not really sure. Part of it is that I haven’t maximized my available crafting time. The major culprit is the MAPLE LEAF Shawl. For some reason, I’m just not feeling the love this time around. I’ve been trying to force myself to work on it so it would be done, but it’s just not working for me. Part of it is that I’ve been prioritizing other projects, leaving me with less knitting time. That’s all I’ve got. My wrist feels fine and is not slowing me down at all. Whatever the problem, you know I’m not going to let it stop me. Stay tuned for my July preview post, laying out my crazy and grandiose plans for this month!